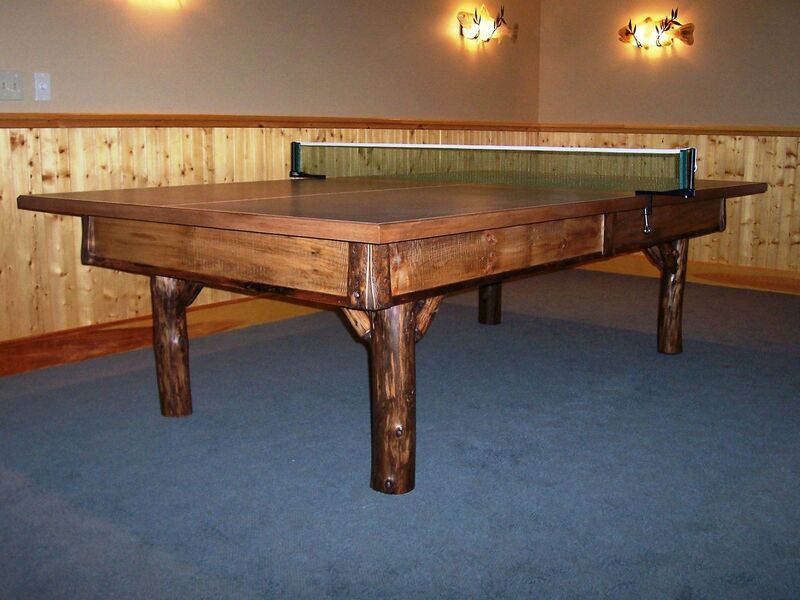 Do a Google search for a rustic ping pong table. I dare you! Well, luckily you came to Custom Made, because Baron's Billiards can build you a one of a kind rustic ping pong table. We'll take a commercial grade playing surface and attach it to a hand crafted log style frame and stain it to your specifications. Your friends will adore you. The dogs will learn how to flush the toilet.